From left: Young Thug, Big Boi and 2 Chainz. Just when it seems Atlanta's done all it can to decimate rap's beloved traditions, someone hops out of bounds again, crosses another line, slaughters a sacred cow. No one act from the city embodies this ethos more than Young Thug. He made a name for himself spitting incoherent lyrics with inconceivable flows — yips, yelps, gurgles and growls — that made it impossible to tune him out. While his contemporaries rely on Auto-Tune to shift shapes, his vocal manipulation remains on manual overdrive. Think Louis Armstrong on Percs and Promethazine. Whether coincidence or consequence, Young Thug's new album, Beautiful Thugger Girls, is one of three brand-new releases from Atlanta rap acts, all bona fide ATLiens who span the stylistic gamut, from icons to iconoclasts. Together, they tell the story of the city's long stranglehold on rap. More than the reigning capital, Atlanta has been the genre's center of innovation for close to two decades now. 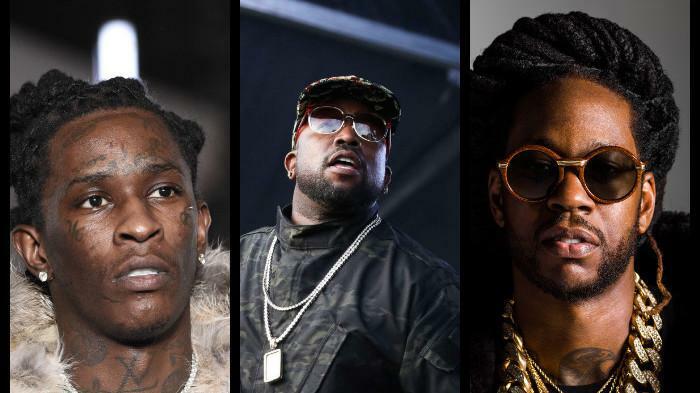 And the timing of new records from legendary vet Big Boi, master of reinvention 2 Chainz and unwieldy upstart Young Thug represents three generations of baton-passing in Atlanta's never-ending relay. Beyond sharing a release date — June 16 — and the same red-clay stomping grounds, the thread that connects these albums is a constant push for creative rebirth. It keeps Atlanta progressing, for better or worse, while much of the hip-hop nation plays catch up. 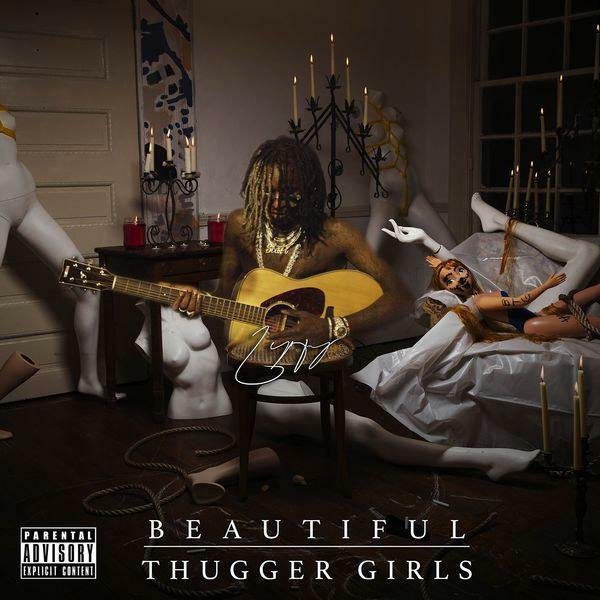 For Young Thug, his latest mutation manifests on his first all-singing album, Beautiful Thugger Girls. It's personal and profane, vulnerable and laughable — and it's probably his most eloquent, despite the irreverent tone. After an especially articulate guest appearance on Drake's More Life ("Sacrifices" feat. 2 Chainz and Young Thug), the oft-misunderstood Thug seems to have thoroughly embraced the idea of being heard loud and clear. Even die-hard traditionalists have admitted a growing respect for the musical oddity. On one album, he somehow cross-pollinates country twang with trap's blunt misogyny and R&B's confessional crooning. Critics have been bemoaning the slow death of R&B for nearly two decades — and not in the racially conspiratorial sense that Nelson George documented in his classic 1988 tome The Death of Rhythm and Blues. Rather, hip-hop almost made its rhythmic predecessor obsolete. Call it poetic payback for all the years black radio shunned rap's come up. But now, it seems the reverse is happening. With trap's increased emphasis on melody, hip-hop often sounds more whimsical than lyrical, which is where Thug, the sub-genre's most absurd practitioner, comes in. Believe it or not, Young Thug is a direct descendant of OutKast's experimental blueprint. Critics who label Andre 3000 as the duo's sole eclectic tend to overlook Big Boi's record of solo risk-taking. After all, this is a cat who counts Kate Bush among his wishlist of collaborators. And he's paired himself with equally eclectic artists since embarking on his solo career with his 2010 debut, Sir Lucious Left Foot: The Son of Chico Dusty. Long before today's crop of young guns and lil' innovators changed the game, Big Boi made his name with a mannish delivery, which he still brings, to a large degree. Even the name he chose, Big Boi, connotes the grown-folk swagger he aspired to as a youth. 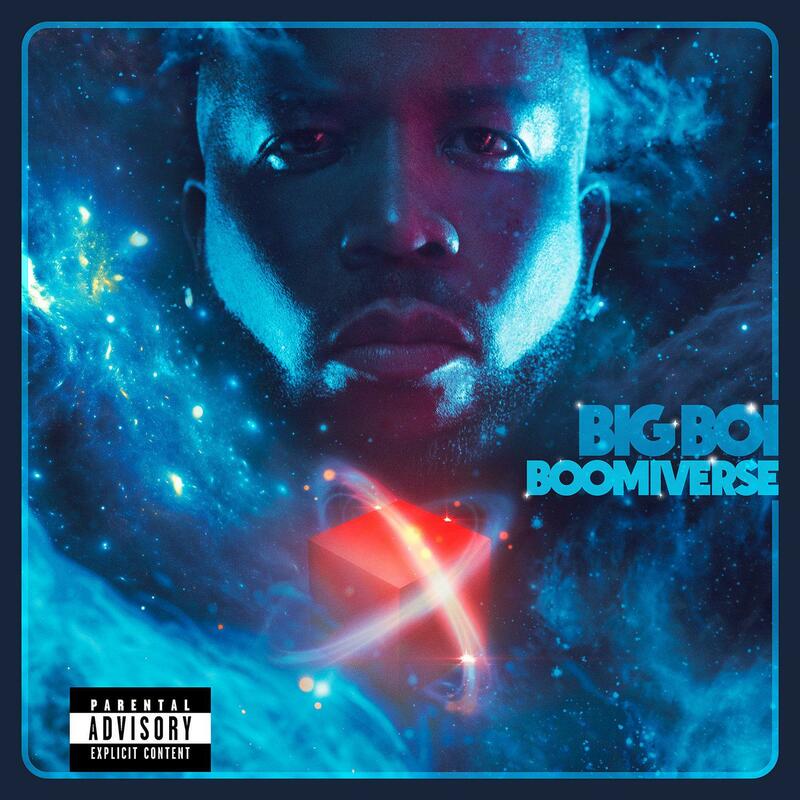 But on his latest, Boomiverse, he raps with an increased air of maturity without sounding old-school, something few emcees who came of age alongside OutKast could claim. Those who weren't forced into early retirement due to outdated flows have long since aged past lyrical prime. 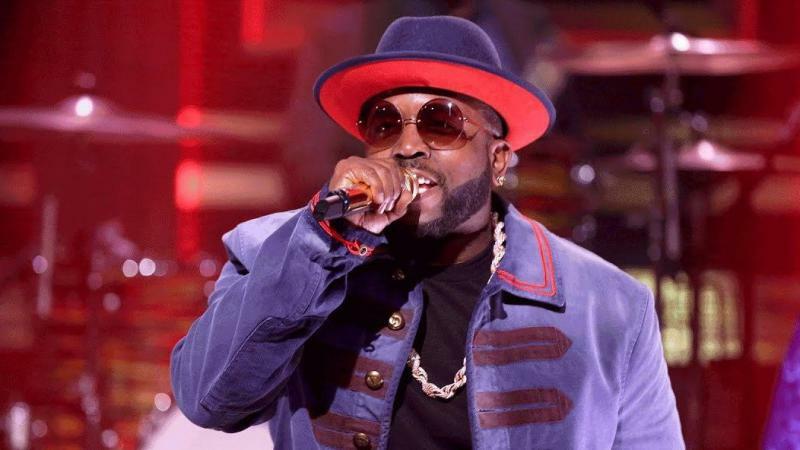 "I / tend to overthink when I ink these bars / but y'all n***** don't even try," he raps on "In the South," featuring Gucci Mane and Pimp C.
With a 20-year discography, Big Boi could be content to rest on his proven sound. But then again, OutKast never settled on just one. In the same vein, Big continues to make sonic leaps from one record to the next. 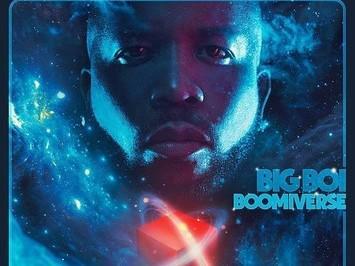 Boomiverse, as he's stated in interviews, is his attempt to start over from scratch, his Big Bang theory of sorts. On this album, he surrounds himself with familiar names (Killer Mike, Kurupt, Gucci Mane, Pimp C, Snoop Dogg, etc.) while expanding his sonic palette. Talk about taking a risk, "Chocolate" finds the laid-back southern player rapping atop a techno-inspired EDM track. And then there's 2 Chainz, who exemplifies the one thing his city has become best at over the years: transmutation. Like the phoenix that symbolizes Atlanta's post-Civil War rebirth, its sound is in a constant state of self-conflagration and recreation. 2 Chainz started out as Tity Boi, part of Ludacris' extended Disturbing Tha Peace crew in the early '00s. But he underwent more than a name change; he remade himself, went on a mixtape tear (with the T.R.U. series), and came out a star on the other side. 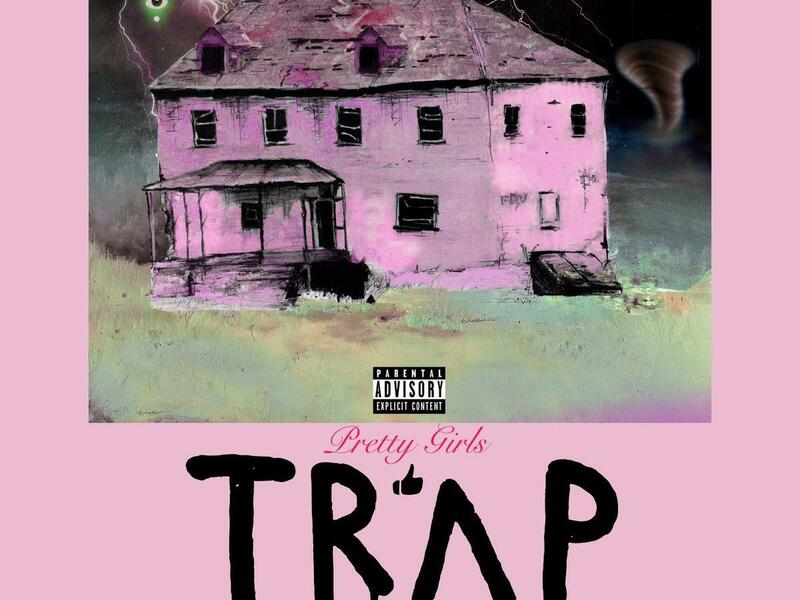 If records by Big Boi and Young Thug represent the city's two extremes, in age range and aesthetic, Pretty Girls Like Trap Music represents the best of both worlds. Chainz's penchant for punchlines remains intact on the new LP. But songs like album closer "Burglar Bars" give listeners the clearest sense of his own evolution from neighborhood hustler to trap star. "See my verses are better / and my subject is realer /see my mom was an addict / and my dad was the dealer," he raps. 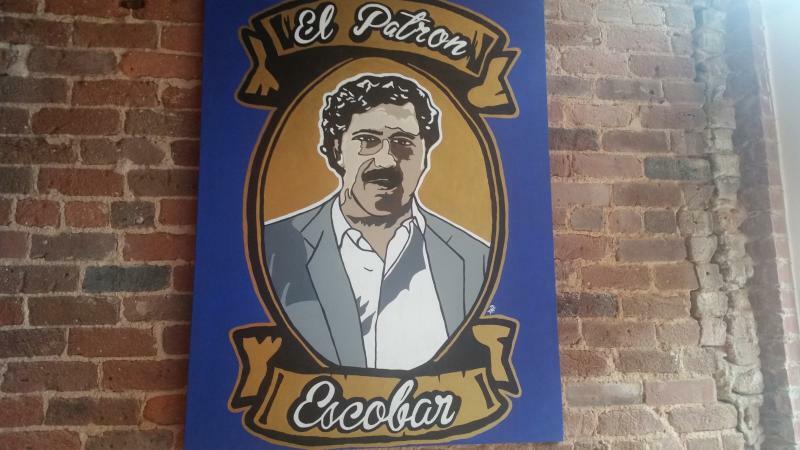 It's that conversion story that serves as Atlanta's metaphorical bread and butter. And the bakery, from the sounds of it, is still open for business. The Southern dialect is a complex thing, especially when pouring out the mouths of three of the regions best rappers ever. From the marble-mouthed flow of trapper du jour Gucci Mane, to the elongated vowel sounds of the dearly departed Pimp C, to the sticky, multi-syllabic delivery of OutKast's most consistent player Big Boi, it comes in all drawls and colors.